Paul Gamm is a litigator who handles all phases of litigation at the state level. He focuses his practice in the areas of general liability and products liability defense. He has litigated and/or managed litigation in eight states, and deposed plaintiffs, witnesses and experts in 19 states. Mr. Gamm's general litigation defense practice includes retail and hospitality liability, pharmacy negligence, automobile and trucking accidents, products liability and medical malpractice, with a particular emphasis in defending catastrophic injury claims and large exposures. Mr. Gamm handles all aspects of expert retention and discovery, and has substantial experience in handling matters involving complex medical causation, as well as accident reconstruction and engineering issues. 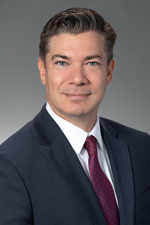 Mr. Gamm joined Hinshaw & Culbertson LLP in March 2008. Previously he was for five years an attorney with Michaud, Mittelmark, Antonacci & Marowitz, P.A., where he also clerked from 2000 to 2002. In addition to his other law school accomplishments, Mr. Gamm was president of the Jewish Law Students Association, a law student advisor, a student member of the American Trial Lawyers Association and a member of the Criminal Law Society. Prior to his legal career, Mr. Gamm had been a licensed physical therapist since 1999. In addition, from 1993 to 1997, Mr. Gamm was a semi-professional golfer. He played various satellite and mini-tour events throughout Central and South Florida. Represented and defended premises in premises liability action where is was alleged plaintiff suffered from failed back surgery resulting from slip and fall. Liability, medical causation and damages were contested at trial. Demand announced in open court before case went to jury for $4.0 million. Verdict for the Plaintiff with Judgment entered for $1,532,000.00. Case settled confidentially on appeal. Tried before Judge Lucy Brown in West Palm Beach, Florida, for three weeks in October 2012. Represented a Broward County neuroradiologist for an alleged failure to properly interpret a lumbar spine MRI of a 57-year-old gentleman with cauda equina syndrome. Plaintiff alleged that failure to properly interpret the MRI led to a delayed diagnosis of cauda equina syndrome and irreversible bowel and bladder dysfunction. Demand to the jury included past and future medical specials and pain and suffering over $1 million. Defense verdict. Tried before the Honorable Victor Tobin in Ft. Lauderdale, Florida in May, 2007. Represented a Palm Beach County surgeon for an alleged failure to properly cover a patient taking Coumadin for paroxysmal atrial fibrillation with low molecular weight Heparin or similar anti-thrombotic agent for colonoscopy performed by defendant. Plaintiff suffered a stroke three days after colonoscopy was completed and on the day Coumadin was to be restarted, causing hemiparesis. Demand to jury included medical specials and pain and suffering in excess of $1 million. Defense verdict. Tried before the Honorable Jonathan Gerber, West Palm Beach, Florida July, 2006. Represented a Palm Beach County pulmonologist in a wrongful death claim involving an alleged failure by the defendant pulmonologist to timely diagnose and treat tuberculosis, resulting in the death of an 81-year-old gentleman. Mr. Gamm’s client was voluntarily dismissed after opening statements. Plaintiff maintained claim against co-defendants including primary care physician and hospital. Verdict of $826,000 for the plaintiff. Tried before the Honorable Jeffrey Winnikoff in West Palm Beach, Florida in April, 2005. Represented a St. Lucie County urologist for an alleged failure to timely diagnose and treat prostate cancer, resulting in alleged wrongful death of 76-year-old gentleman. Demand to jury included past medical expenses exceeding $500,000 and “an appropriate” pain and suffering award. Defense verdict. Tried before the Honorable Rupert Smith in Fort Pierce, Florida in June, 2003. Represented a Palm Beach County anesthesiologist for an alleged misdiagnosis and treatment of peripheral vascular disease mistaken for spinal stenosis and subsequently treated with multiple epidural steroid injections at multiple levels. Plaintiffs further alleged as a result of the high levels of steroid in plaintiff’s system combined with the undiagnosed peripheral vascular disease, a simple non-healing wound on lower leg required an above-the-knee amputation in 61-year-old gentleman. Demand to jury was in excess of $11 million, including past and future meds and pain and suffering. After 14 weeks of trial and two and one half weeks of jury deliberations, the jury hung. Tried before the Honorable David Crow in West Palm Beach, Florida August-November, 2002. Favorable confidential settlement was later achieved. Mr. Gamm contributed to the 2013 and 2008 revisions of "The Landscape of Pharmacy Negligence in Florida," a booklet published by Hinshaw in 2006.